Goosebumps 2: Haunted Halloween DVD and Blu-ray release date was set for January 15, 2019 and available on Digital HD from Amazon Video and iTunes on December 25, 2018. 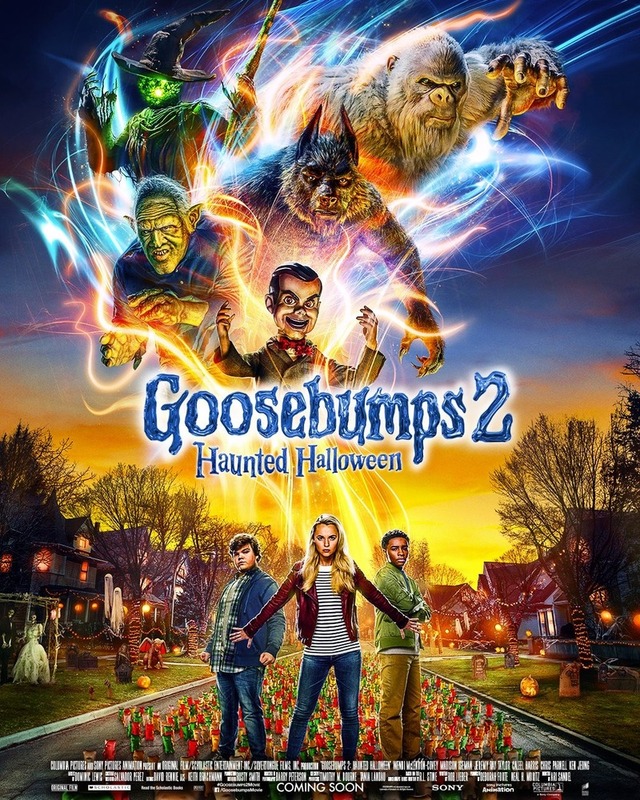 This sequel to the 2015 movie "Goosebumps" once again follows the adventures of a group of kids in the 1990s who battle all sorts of ghostly occurrences. When on of the group disappears, it's up to their friends to figure out what has happened and how they can manage a rescue. But the ghost and unearthly demons have learned a lot since the last time they met and the kids might have picked a battle they can't win. DVDs Release Dates is the best source to find out when does Goosebumps 2: Haunted Halloween come out on DVD and Blu-ray. Dates do change so check back often as the release approaches.